During winter, rodents tend to invade your home in search of shelter. And if you do not get rid of them immediately, your home can be vulnerable to a rodent infestation. While on one hand, they can do damage to the electrical wiring and devices, the more dangerous risk is that of rodent-borne diseases. Rodents carry various infectious bacteria and viruses and if they get into your food or drinking water supply, your family can be infected with terrible diseases. 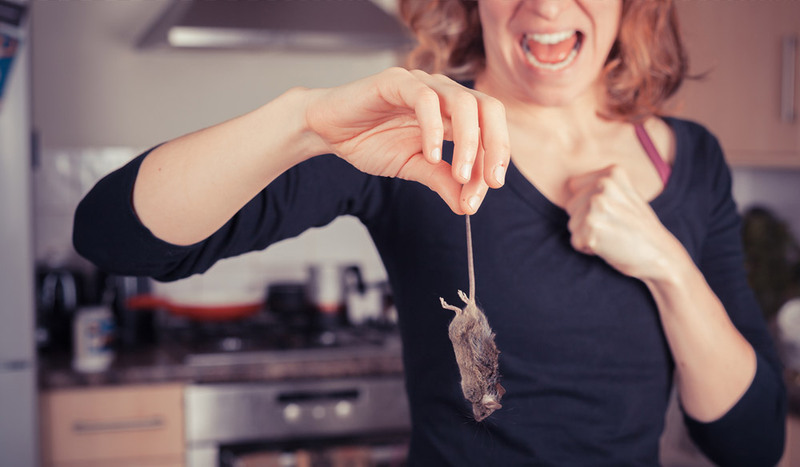 To avoid this, we list down five tips that will help you control and prevent a rodent infestation in your home during winter. The easiest way to get rid of rodents is to set up traps in your house. You can either use the regular wooden snap traps or go for the modern ones made from metal. Either way, the tool must be fast enough to trap rodents once they are lured to it. Plus, it is recommended that you use multiple types of traps instead of relying on just a single one. So, glue traps, bait traps, and multiple capture traps must also be used. This will increase the chances of capturing the rodents and avoiding an infestation. Check your home thoroughly for all cracks and openings through which the rodents can enter. And when you find them, seal them off completely so that the rodents are unable to pass through them. Now, you should remember that a rodent can easily squeeze through even the tiniest of opening as small as a quarter of an inch. So, never leave any opening unsealed. And if rodents still get inside the home even after sealing all possible entry points, call a professional pest rodent extermination service like NaturaPestControl.com. When storing firewood, make sure that you don’t keep it too close to the home. This can attract rodents which can then enter your house through an opening in the property. As a rule of thumb, always keep the firewood at least 20 feet away from your home. This should help to keep rodents from coming near your house. Plus, remember to cut down all the shrubbery around the house to avoid attracting the rodents. Just as with firewood, you must never throw garbage near your home. Throw all garbage in a can and keep it far away from your premises. Plus, you need to ensure that you cover the can with a lid tightly so that rodents do not enter it. If they make it a habit of eating food from the garbage can, then it can lead to even more rodents appearing on your property. You must also clean your house regularly. Ensure that no food crumbs remain on the floor. Plus, never store any organic waste inside your kitchen. Remember that rodents are likely to get attracted to moisture. So if you see moisture in any section of your home, find out its cause and remedy it immediately.